For vegetarians with wanderlust, global travel can be an international web of temptation, disappointment, and really bland food. But seeing the world doesn’t necessarily mean eating handfuls of weird nuts while everyone else feasts on spit-roasted flesh. These 10 countries offer endless joy for travelers who want to forgo meat, but not flavor. 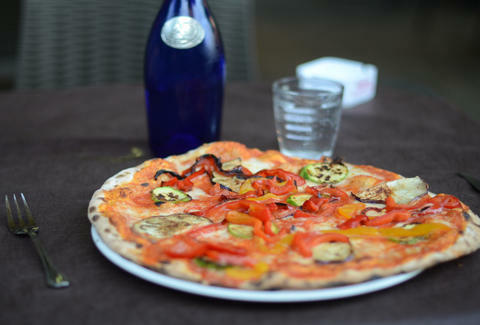 Italy has the highest rate of vegetarianism in the European Union. Ten percent of the population in Italy sticks to a vegetarian diet, so you definitely won’t feel alone when you tell your waiter to "hold the carne." 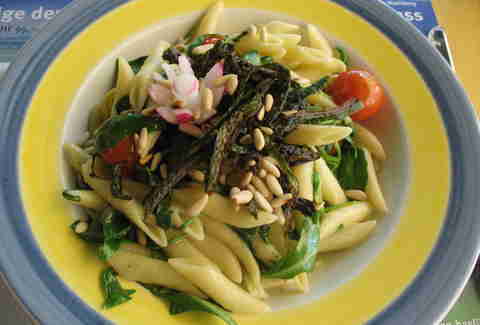 Mediterranean staples that are rich in healthy vegetables will have you saying "Mangiare capra? Basta!" The words “UK cuisine” may bring to mind fish & chips and mysterious pub dishes with names like “bubble & squeak,” but in recent years, UK chefs have really begun embracing vegetarian culture. And with one in five UK residents aged 16-24 declaring vegetarianism, it’s becoming surprisingly easy to find delicious vegetarian fare across the pond. 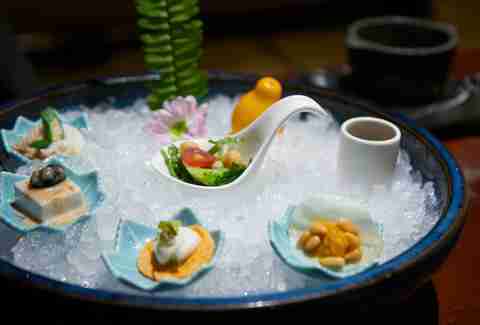 Vegetables are the star of the show in traditional Taiwanese cooking. Even those dishes that are normally served with meat can make fantastic veggie main plates thanks to the variety of tasty, unique sauces popular on this gorgeous island. Thirteen percent of Taiwan’s population follows a vegetarian diet at least some of the time, and governments at every level have encouraged all residents to eat vegetarian one day a week. With more than 6,000 vegetarian restaurants in the country, you’ll have no shortage of choices. Bonus: with some of the world’s most strict food-labeling laws, you will always know what you’re eating. 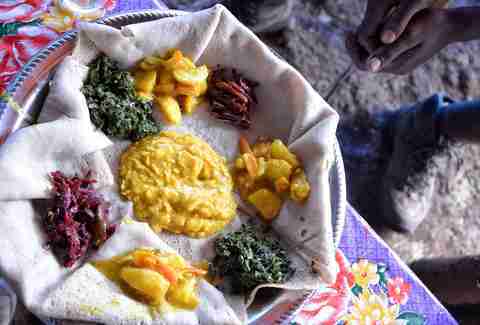 Meat-free Wednesdays and Fridays, as well as long periods of vegetarian fasting, are a tradition of the Orthodox Church in Ethiopia, so it’s no surprise that many of the most popular traditional Ethiopian dishes are vegetarian or vegan. Try the delicious wat, a thick stew made of vegetables and served on top of a sourdough flatbread called injera. Singapore might be small (it’s only about half the size of Los Angeles), but the city-state packs a punch when it comes to vegetarian cuisine. 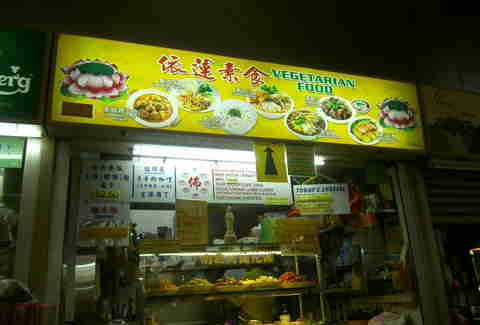 As of this writing, HappyCow.net lists 359 vegetarian restaurants and health food stores in Singapore, with 172 in Central Singapore alone. Try some vegan fast food at nomVnom, or the multi-ethnic Vegetation. And don't hesitate to look for vegan meals at hawker centres, Singapore's culinary gem. In keeping with this diverse enclave, you can find Western, Chinese, Mediterranean, Indian, and Malay cuisines, plus combinations of all of the above. With so many options at your fingertips, your only problem will be how to choose. Ireland? Believe it. The Emerald Isle actually boasts more vegetarian- and vegan-friendly restaurants and food stores per capita than any other country in the world. Cafe Paradiso in Cork County is rumored to be the best, but you’ll have fun testing that theory at eateries across the country in large cities and tiny villages alike. 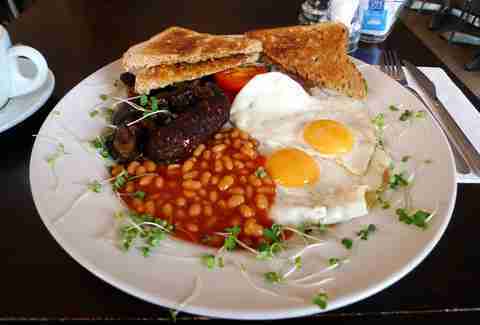 Want to eat traditional Irish staples without compromising your principles? 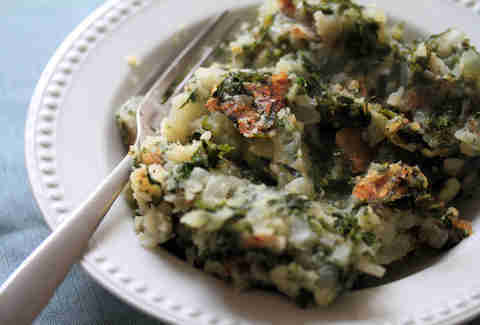 Try vegetarian colcannon or a hearty Irish stew made with seitan. This is another stunner. After all, Germany is home to more than 1,500 types of sausage, and most Germans will eat their weight in meat throughout the average year. But this culturally rich country also is home to more than 7 million vegetarians -- constituting 9% of the total population -- so you won’t be stuck just eating pretzels and drinking beer during your visit. Although, if you do opt for an all pretzel-and-beer diet, we won’t judge. 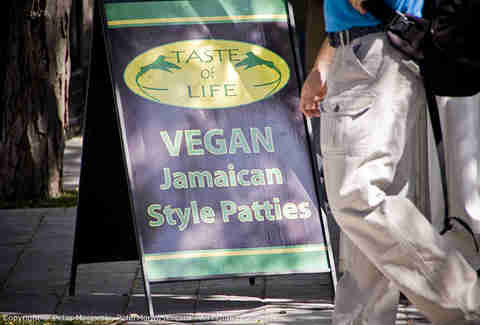 The Rastafarian religious principle of I-tal means they only eat foods that are “natural and clean.” Rastafarians are unlikely to eat meat of any kind, and even those who do regularly eat small fish maintain a diet full of vegetables. Their diets also tend to be rich in fruits and juice, too. And, let's face it: you can put jerk sauce on anything and it'll be delicious. 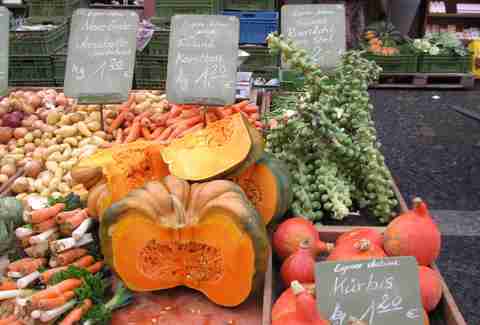 The good news is, the Swiss are utterly obsessed with organic foods. It’s also no surprise that this internationally prominent country is home to a cuisine influenced by its rich farming. The not-so-good news: food here is expensive. In fact, it's the most expensive shopping cart in the world, so while you’ll have no trouble finding plenty of great food to eat, paying for it might leave your wallet as flat as a pancake. But at least it’s a vegetarian pancake. 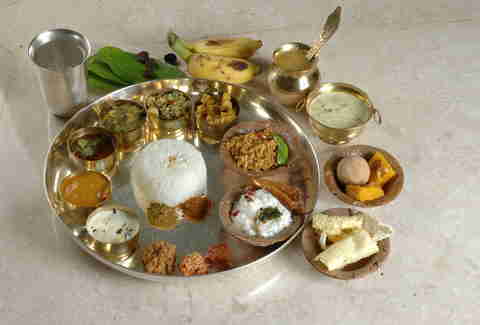 Ah, India -- the holy grail of vegetarian cuisine. There are over 500 million vegetarians in the country, and they subsist on some of the most flavorful and diverse food on the planet. In India, with so many vegetarians around, you’ll never be in any doubt about whether a food is meatless. What's more, all packaged foods sold in India will have a green mark if they’re vegetarian and a brown mark if they aren’t. So even if you can’t read the language, your potential for accidentally eating meat is low. Unless you’re colorblind. Cedric Lizotte is a freelance journalist and photographer specializing in travel, food, and technology. He'd also write a great "Dear Abby" column. Read his blog at continentsandcondiments.com, and follow him: @CedrikLizotte.